Tirade: Of course. A volcano. 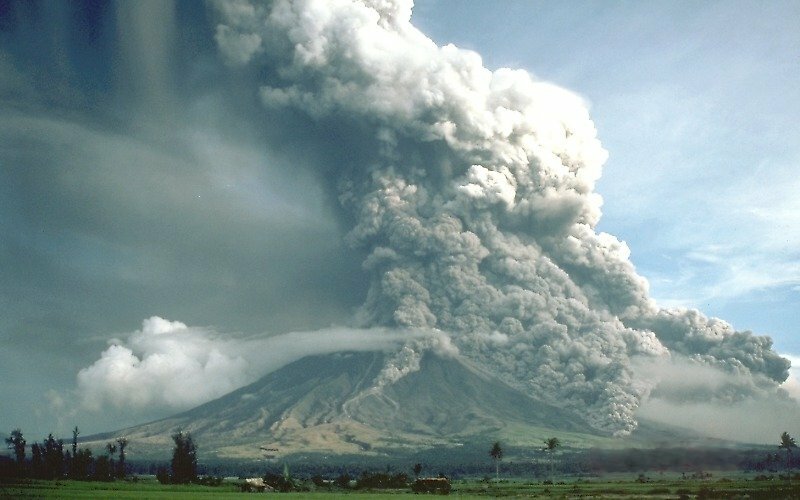 I visit the Volcano everytime I go back, as it is right by my province in Bicol, so I'll be keeping a watchful eye on this. From what I've read it seems there were some little earthquakes which means the lava flow could intensify. Hoping for the best. Watching real lava flow a few feet away from me was one of the most moving experiences of my life. Just being near such energy and feeling the futility of us puny humans in the face of it is truly something. But that was in Hawaii, which has one of the most tame & predictable volcanos on the planet. If this one is on the edge of an eruption I'd keep a healthy distance. Actually, my mother in law from Bicol. You are psyching yourself out. Hilo is just a few miles from a very active volcano. Just enjoy yourself. I am sure that the Gods will be watching over you. Sorry, I think that I spoke too soon. It looks like Mayon is about to blow its top. I hope that it does not affect your trip. Have a safe one. wow, I can't believe those kids are so close to it, is that aregular type of thing in the phillipines?